There are a number of immediate benefits to having a customer retention plan for startups. First, it lowers your costs of sales as repeat orders become commonplace. Second, it reduces your marketing costs as it’s far more expensive to find new clients than it is to keep existing ones. Third, it increases revenue and helps to lower product and service costs because you’re able to better plan inventory and secure volume discounts from vendors. 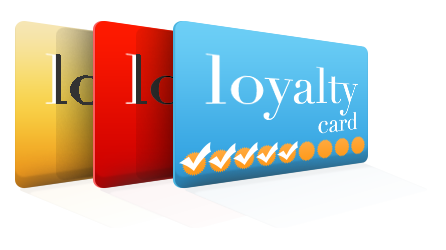 So, given all these benefits, how do you put together your loyalty program? The best loyalty plans are ones that give customers an incentive to return, and build trust. Your customers must come to see that you truly appreciate their business. Accrued rebates are one way to ensure that your customers come back. The more they order, the higher their rebate amount. Once they hit a certain volume, you apply the rebate to their account. Customers appreciate when they don’t have to haggle or negotiate pricing. Disarming customers is one way to win them over. Offering upfront discounts is a proven customer compensation strategy. However, don’t advertise the upfront discounts. Instead, surprise your customer with an unannounced discount, one they hadn’t anticipated. Give your customers multiple payment options. It shows your willingness to work with them. Offering net-10 day terms with a 1 percent invoice discount is a proven strategy to getting paid sooner, while also helping your customer save money. If need be, extend terms for your best customers. Use an all-encompassing approach to building relationships. Every business has a product or service that generates little to no profit. Use that to your advantage. Offer it at or near cost and include in on customer orders. Promote this loss-leader product and service as an add-on. Customers will come to appreciate it. Holding onto inventory indefinitely rarely, if ever, works out. Instead, offer existing customers the first shot at inventory liquidations. Isolate those obsolete and outdated products in inventory and give your customers an opportunity to save money. In the end, increasing customer retention is all about engaging customers. That means interacting with them through social media, providing them a platform to contact you with live chat on your website, and most importantly, constantly keeping in touch with them about new product releases and opportunities. In the end, it’s a mindset and one you must master. The biggest and best companies know the importance of keeping the customers they have. They constantly measure their market share and proactively put plans in place to build brand and customer loyalty. However, it’s wrong to assume that it involves some elusive process; focus on what your customers want and make it easier for them to get it.